As Medicare’s 60 million beneficiaries pore over their choices for coverage for everything from medical services to prescription drugs, government officials warn that this is prime time for fraudsters to try to scam older consumers. “Do your research and use trusted sources,” advises Jason Adler, assistant director of the Federal Trade Commission’s Midwest regional office. The FTC monitors the latest ploys that criminals use to get people’s Social Security or credit card numbers and other personal information that can help them cheat Americans. Adler says the best place to get information about your Medicare coverage or enrollment is either Medicare.gov or by calling the Medicare hotline at 800-MEDICARE (800-633-4227). 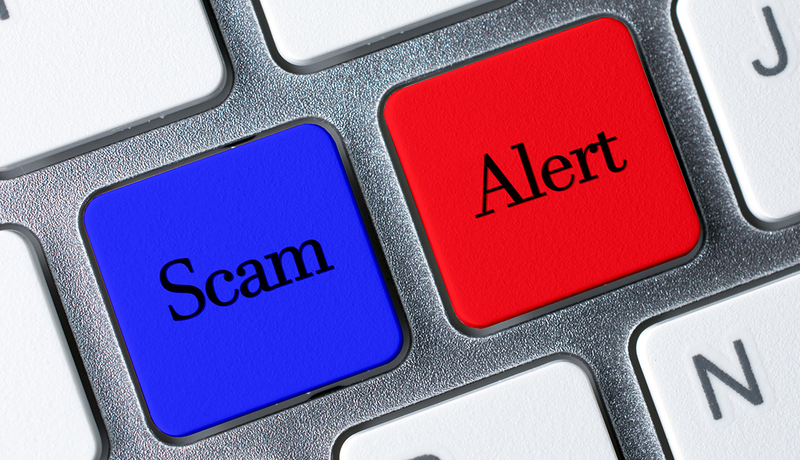 Here are some common scams and Adler’s tips on how to thwart them. Someone calls claiming to be from Medicare and says your Medicare number and credit card information are needed to sign you up for health coverage. Solution: Hang up the phone. “Anyone calling saying they’re an official Medicare agent selling you insurance is a scammer,” Adler says. Medicare does not call beneficiaries to sign them up. Someone calls saying you have to sign up for a Part D Prescription Drug plan or you’ll lose your Medicare coverage. Solution: That pitch is “just not true,” Adler assures. So hang up the phone. Buying a Part D plan is completely voluntary, he says, and has nothing to do with the rest of your Medicare coverage. Someone calls claiming to be a Medicare representative and says your billing information must be confirmed to keep your coverage active. Solution: Again, hang up. Medicare employees will not cold-call you and are not allowed to ask for payment information on the phone or online. An alleged insurance agent or broker calls to offer you a great deal on a Medicare supplemental insurance (or Medigap plan) or a Medicare Advantage private insurance plan. Solution: This one is a little trickier. Listen to the person’s pitch and ask for information in writing. If the agent is sending you an email, Adler says to make sure you have a virus scanner on your computer and don’t click on a link that sends you to an unfamiliar website. You can also call your state insurance department to make sure that the company the caller says he represents is legitimate. Chances are, if the caller is a scammer, once you start asking questions and refuse to turn over any personal or credit card information, the individual will hang up. Someone calls asking for your new Medicare number to update your account and to send you the latest open enrollment information. Solution: Stop. Do not give out your new Medicare number over the phone. Earlier this year, Medicare began mailing out updated cards that have an 11-character identifier that replaces Social Security numbers. Medicare cards are free. New cards have been mailed to enrollees in 33 states and the District of Columbia and are in the mail to consumers in the other 17 states. If you haven’t received your card, you can go to the Centers for Medicare and Medicaid Services’ new Medicare card website to check on the status of the mailing to your state as well as to sign up for an email alert when your card is mailed.